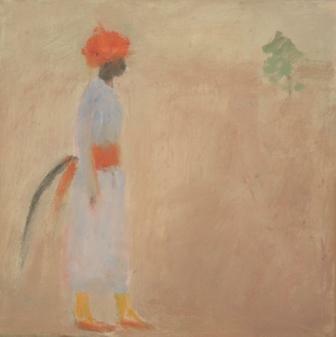 ''The Bridegroom'' walks alone, beautifully dressed in this delicately painted and subtle art work. Simple forms and a selective palette capture the atmosphere and elegance that Ann Shrager has experienced on her travels in India. There is a dreamlike quality to this modern oil painting.